There are so many different recipes for brownies out there that it is a bit overwhelming to look for one in the internet. Everyone claims to have the ultimate brownie recipe. 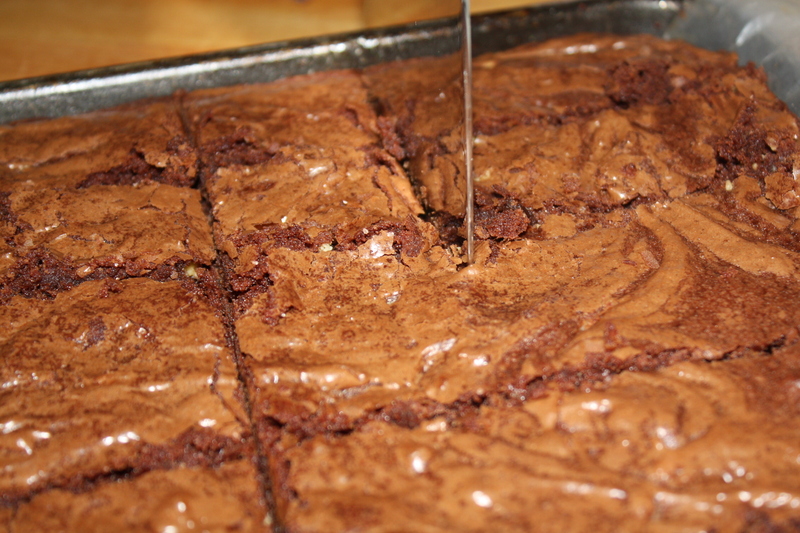 Most people I know are very particular about their standards of what a great brownie should taste like. 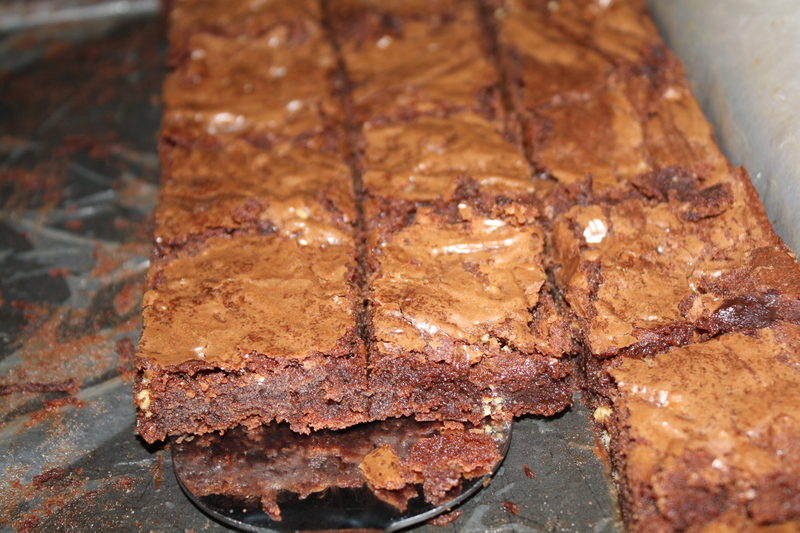 Some like crumbly, others fudgy, others chewey, others cakey, with nuts, with chocolate chips, with frosting, etc. and the possibilities are endless. Some keep their recipes zealously locked in a “bank safe” so that the “state secret” is not shared with anyone. In conclusion, people are very passionate about brownies! For many years, I have tried hundreds of recipes from books, magazines, friends, tv shows, internet, original experiments I make and I truly think this is one of the best. 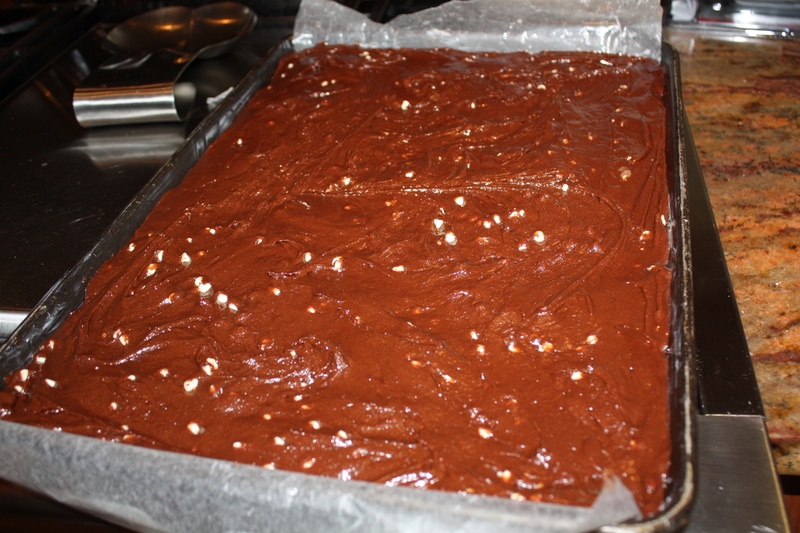 This recipe is adapted from a recipe in marthastewart.com (chocolate chunk brownies). The original recipe calls for more butter and gives you a choice of various chocolate chunks, but I am a sucker for white chocolate. 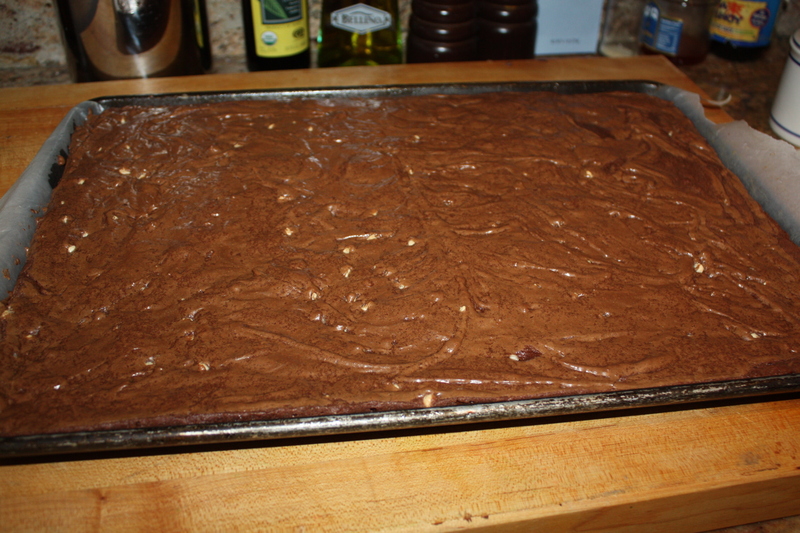 I admit I haven’t made a boxed brownie mix in probably 10 years. 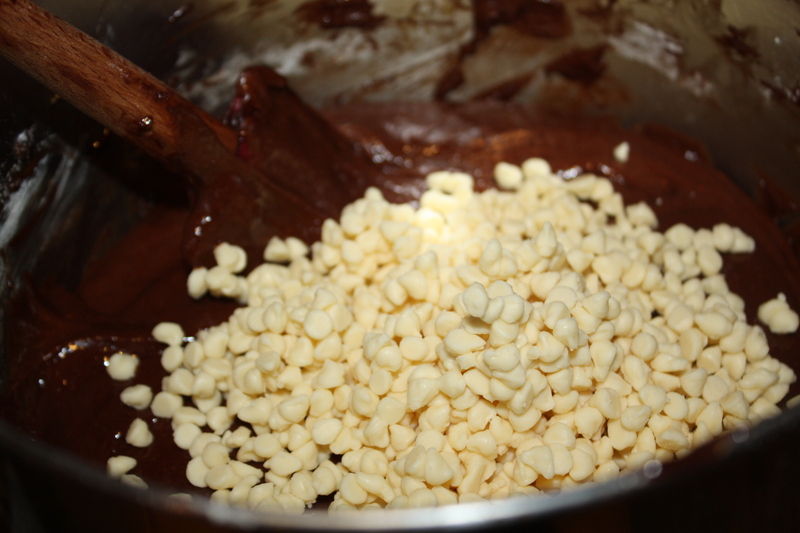 I like to melt the chocolate and the butter and mix with the sugar, eggs and vanilla and finally incorporate the flour. It takes me approximately the same amount of time as with the boxed counterpart. It is pretty easy and fun process which my children love! I always, always, have unsweetened chocolate in my pantry in case I crave homemade brownies on a Sunday afternoon, Je! 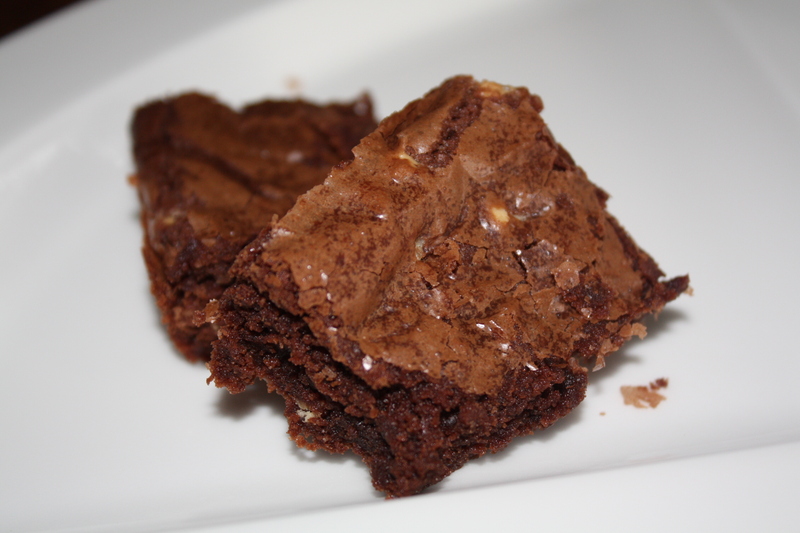 So I want to share the universal love of brownies with you by posting my version of this delicious recipe. 1. Preheat oven 350ºF. Line a 12×17 inch jelly roll pan with parchment paper and grease with butter or cooking spray, including sides. 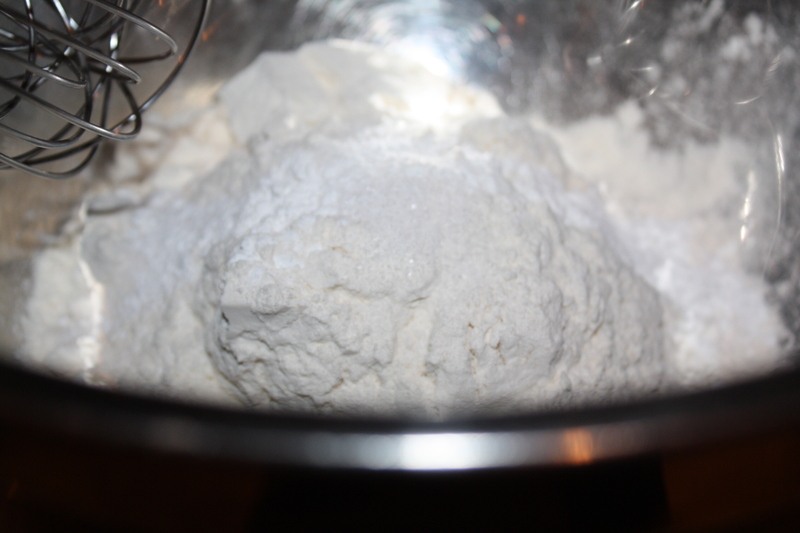 In a bowl, whisk together flour, baking powder and salt. Set aside. 2. 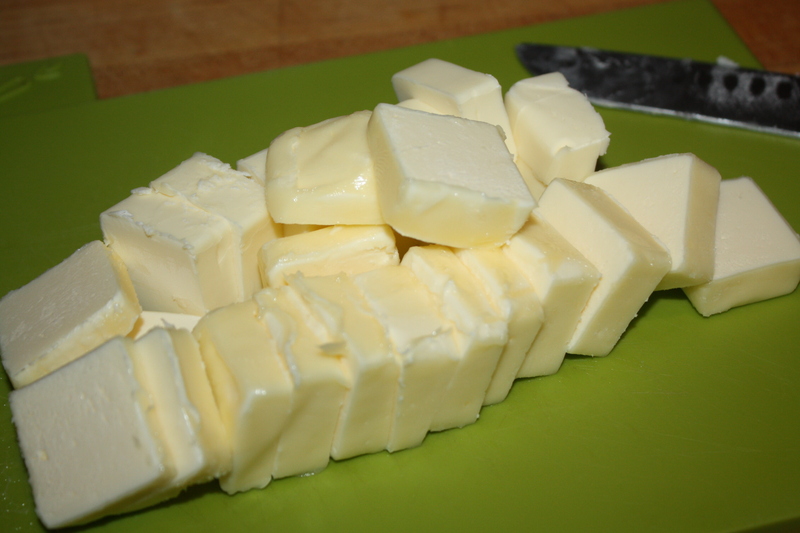 Melt butter and chocolate in bain-marie or double boiler and remove from heat as soon as they have melted and formed a smooth mixture. Set aside and let cool a little. 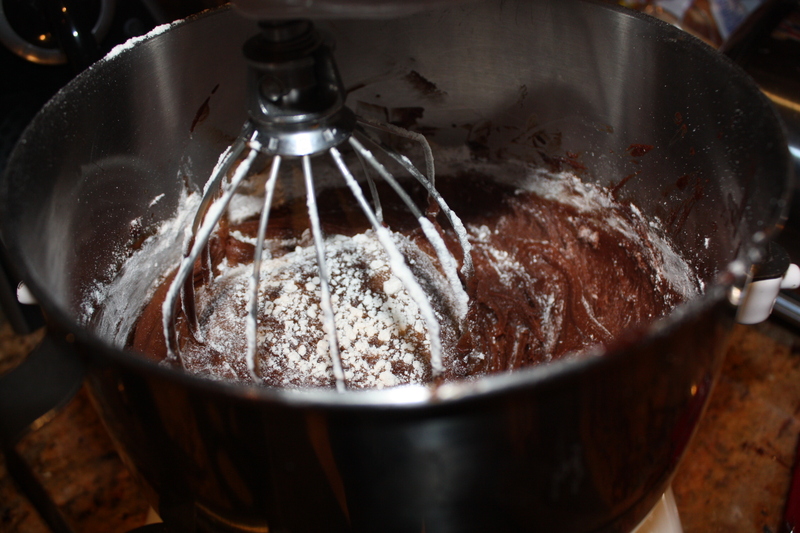 Then transfer to a bowl and beat with the sugar with the whisk attachment of an electric mixer for about 3 minutes in medium speed. Stop, add vanilla and mix for 1 minute. Continue mixing at medium speed and add eggs, one at a time. Stop, scrape bottom with spatula. Bring speed to low and add flour mixture in small batches just until almost fully incorporated with chocolate mixture (do not over beat!!!!). 3. Fold in white chocolate chips. Pour batter into jelly roll pan and spread evenly with spatula. 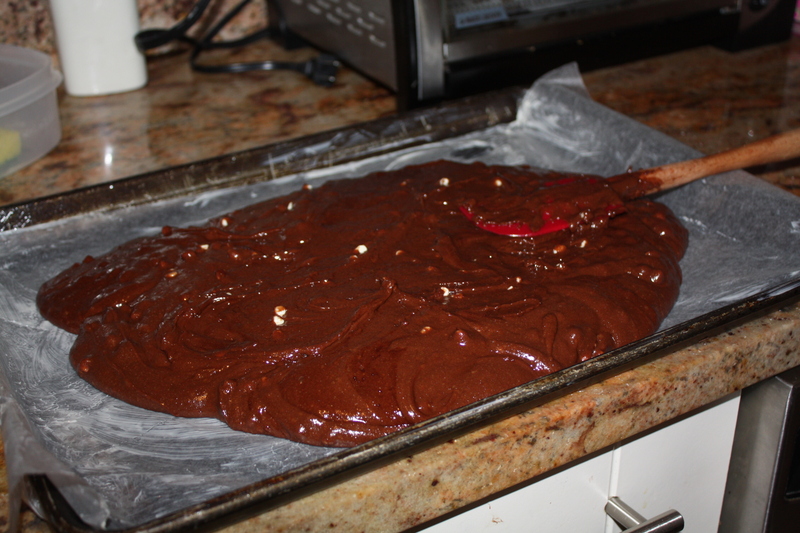 Bake at 350ºF for 20 minutes until brownies have just set. Take out of oven and let cool completely before cutting. I cut with metal spatula instead of with knife. I find it makes a nicer and cleaner cut. A few months ago, we travelled to Orlando, Florida to attend a tradeshow related to my husband’s business. My brother and sister in law who live in South Florida, Mandy and Frances, met us there. One afternoon, Frances and I took a break from the show to go shopping in Orlando’s world famous outlet malls as well as browse at upscale shops. One of our stops was at The Mall at Millenia where we got hungry, so we went to a California Pizza Kitchen Restaurant for lunch. We shared a white bean hummus as appetizer topped with tomatoes and flat bread and a pizza with mozzarella, fontina and gorgonzola cheeses, thinly sliced pears, caramelized onions, hazelnuts and baby greens (something to try with my bbq homemade pizza recipe with a little white truffle oil of course!). It was delicious! I had tried white bean hummus before at other restaurants like Cien Vinos in Guaynabo, Puerto Rico and often made traditional chickpea hummus at home. This variation, is a great appetizer or light lunch. In the months following our trip, I started experimenting with recipes and quantities to make the white bean hummus at home and here is the outcome. So far, I’ve had great reviews from family and friends! I want to hear your comments and suggestions. Tips: Before juicing the lemon, grate the lemon zest and use it to make Nieves’ Lemon Bread. Also, sometimes the solids and oil in tahini (ground hulled sesame seeds) separate, so make sure they are fully incorporated to form a paste by mixing with a spoon before adding to the recipe. 1. Place all hummus ingredients in a food processor and pulse a few times to chop ingredients roughly. 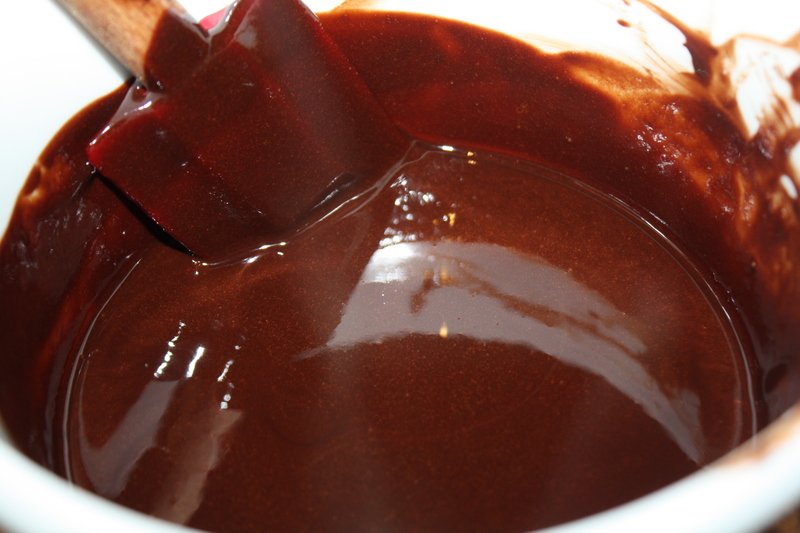 Then turn on for about 2 minutes until smooth paste is formed. You may add a bit of cold water if you want to reach a smoother consistency. 2. Meanwhile, mix all the ingredients of the tomato topping in a bowl. 3. 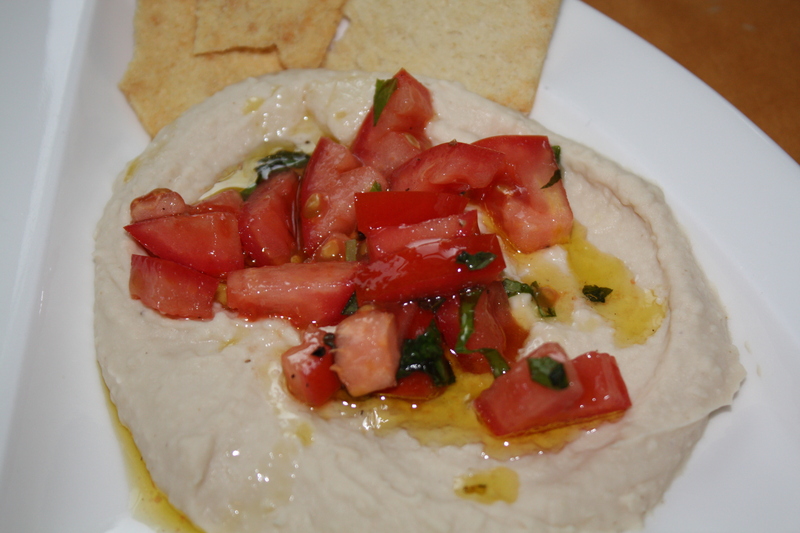 To serve, spoon and spread white bean hummus in a serving plate and top with tomato mixture. 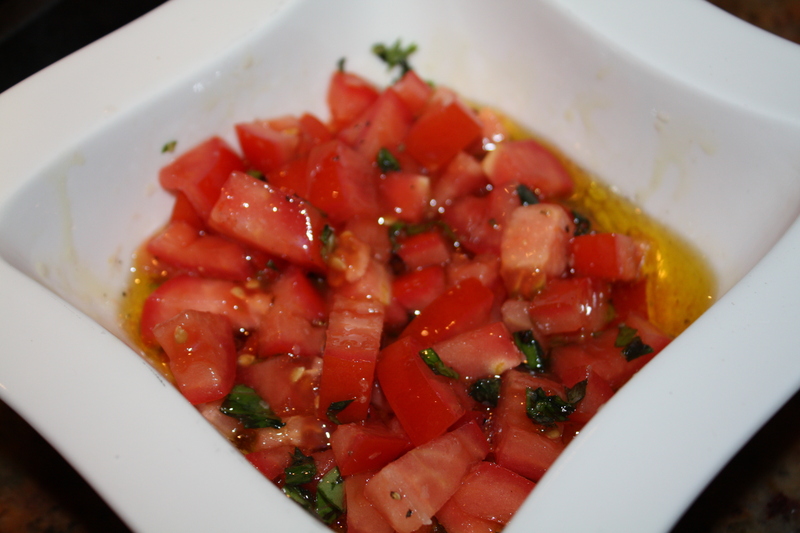 Serve with pita bread, flat bread or pita chips.